Rapidi is committed to making data integration a fast, simple task. We have been developing and refining our platforms and solutions since 1992. RapidiOnline offers a no-programming, simple and fast integration option that can be used ‘out-of-the-box’, or customized and scaled to fit almost any business in a matter of days. Rapidi Replicator is our data replication tool and Rapidi Platform allows us to integrate almost any ERP and CRM systems or end-points. All data communication happens via our highly advanced connection technology, RapidiConnector, which compresses and encrypts data transferred between our cloud solutions and any on-premise systems. Customer satisfaction is paramount and we provide ongoing, highly responsive support services that make sure any databases using Rapidi technology are fully maintained. Data integration is notoriously complicated - but it doesn’t have to be. Our technology exists to make your business perform better with no disruption to your processes. We love to keep things simple. RapidiOnline can be installed and connected in three hours. 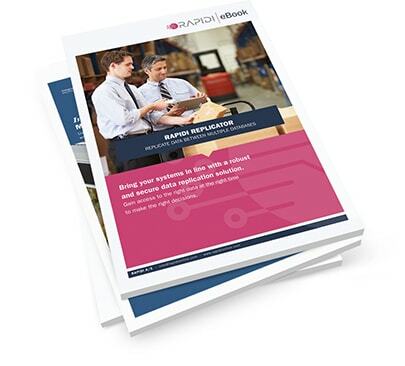 Customise your data integration to fit your business. Our system is made to be easy to use and adapt. Data integration helps businesses to grow. We scale any solution to fit your needs as they change. Your implementation is only the start. Our responsive support team is always available. Learn how our unique RapidiOnline platform is changing the way data integration is done, the technology behind it and the challenges it's helping businesses overcome. Understand how the Rapidi Replicator works and how it was developed. 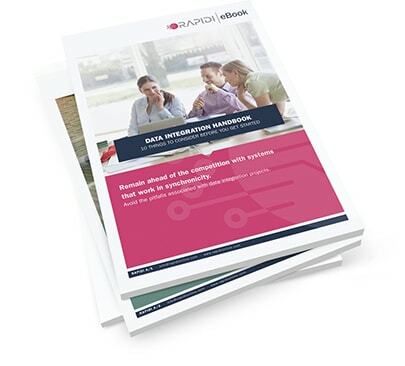 Plus read about real cases where Rapidi Replicator is helping businesses improve performance.